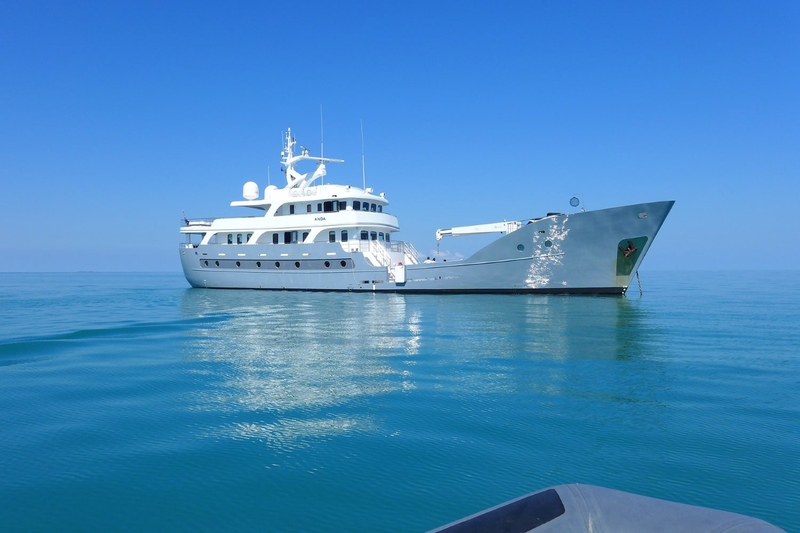 Explorer motor yacht ANDA is a beautiful vessel, originally constructed in 1965 by Brodrene Lothe AS with a 2010-2012 conversion, offering beautiful interior spaces and plenty of outdoor deck areas. 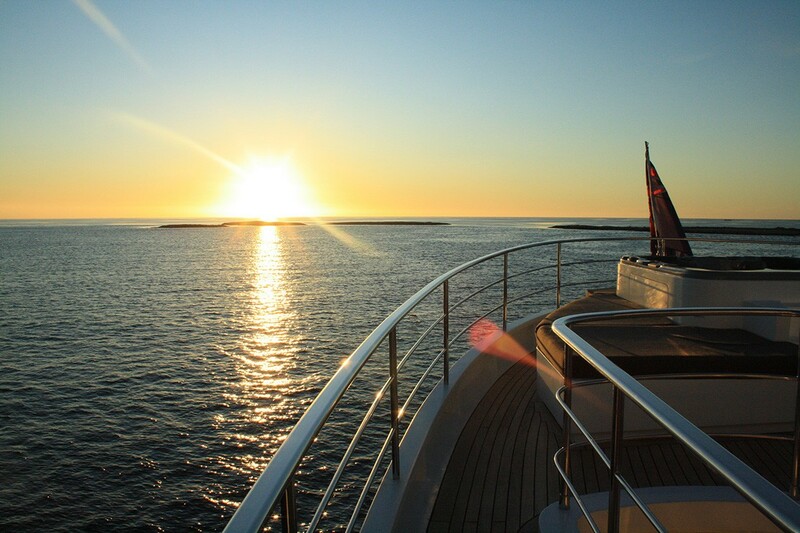 42m (138ft) superyacht ANDA provides accommodation in five luxurious cabins for up to 10 charter guests. 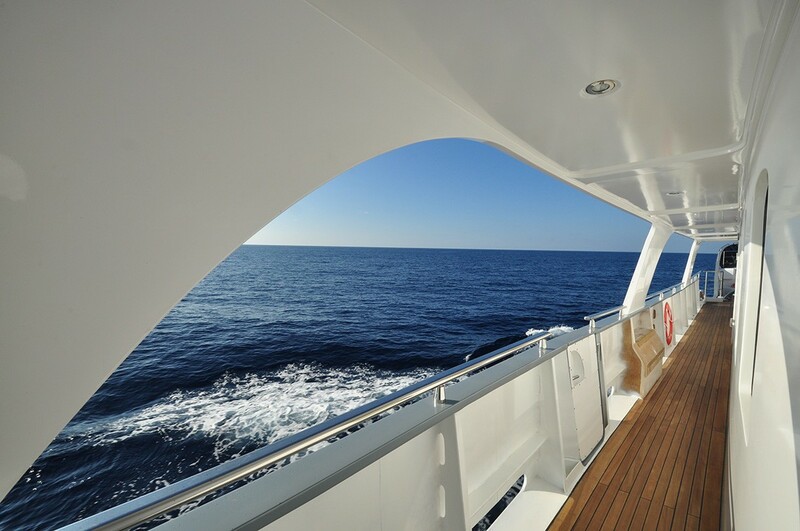 Her exterior lines were designed by Brodrene Lothe AS and Ocean Gecko Design. 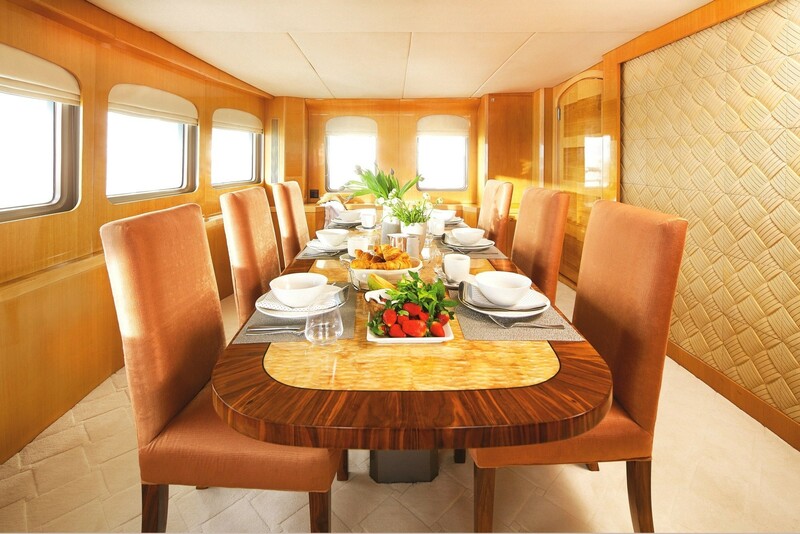 Luxury motor yacht ANDA has an elegant contemporary interior décor. 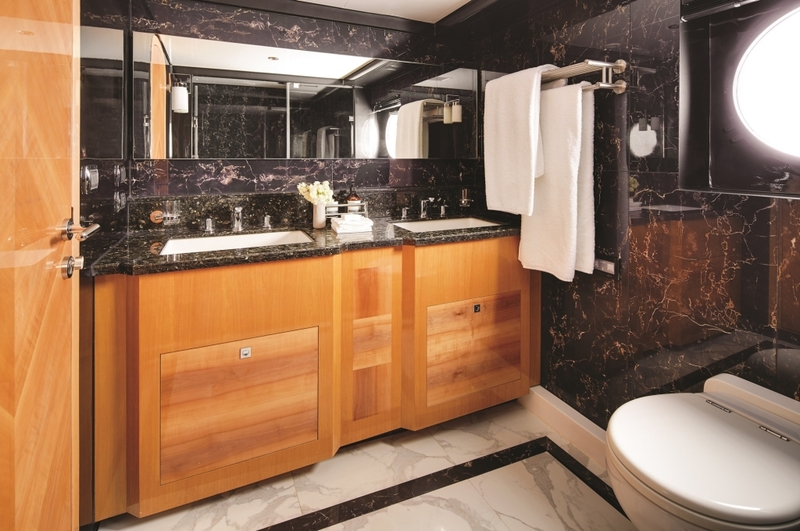 Honey-toned woods are paired with neutral soft furnishings, creating a warm yet sophisticated ambiance. 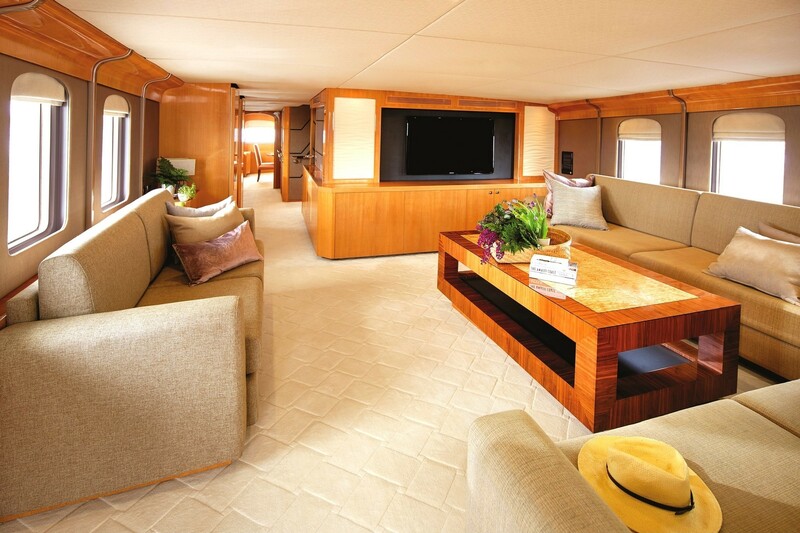 The main salon offers plush seating, coffee table and full entertainment, perfect for relaxing and socializing. Separate and forward is the formal dining area, where high back chairs flank the bespoke and stylish formal dining table. 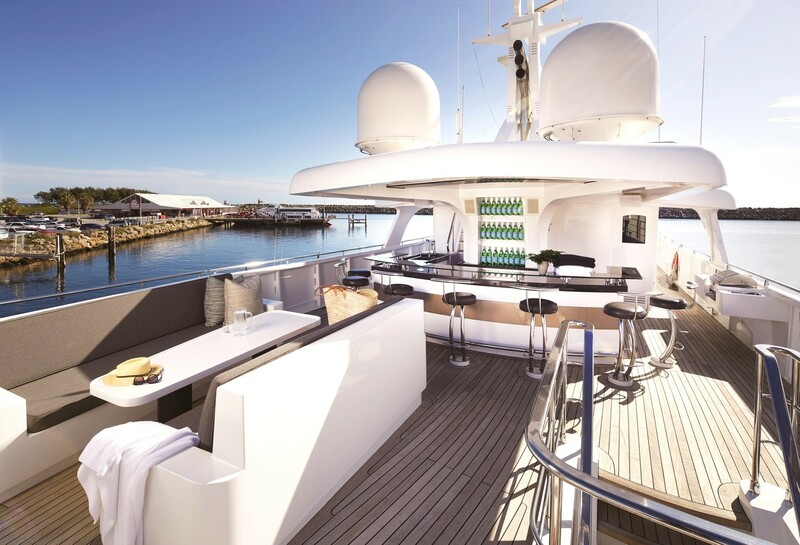 The salon boasts large panoramic windows on port and starboard, while the dining area features 270° wrap around windows, ensuring both spaces offer plenty of natural light. 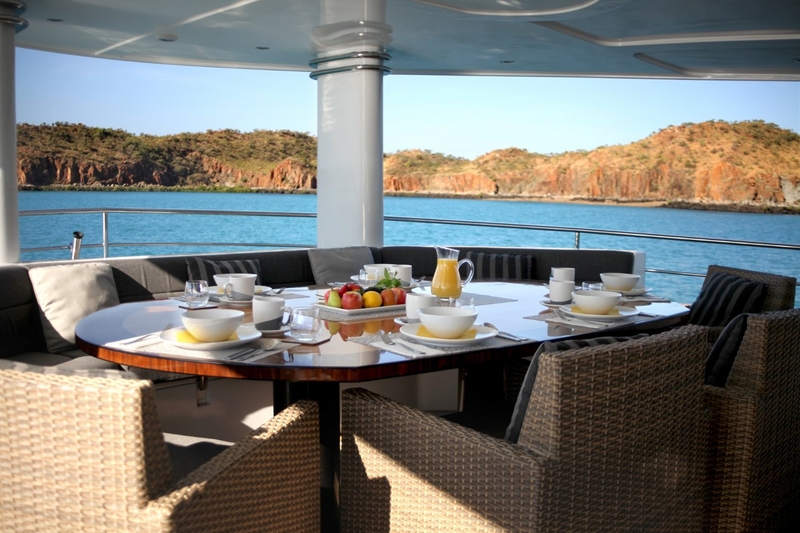 Accommodation aboard ANDA includes one master suite, three double cabins, and one twin cabin. 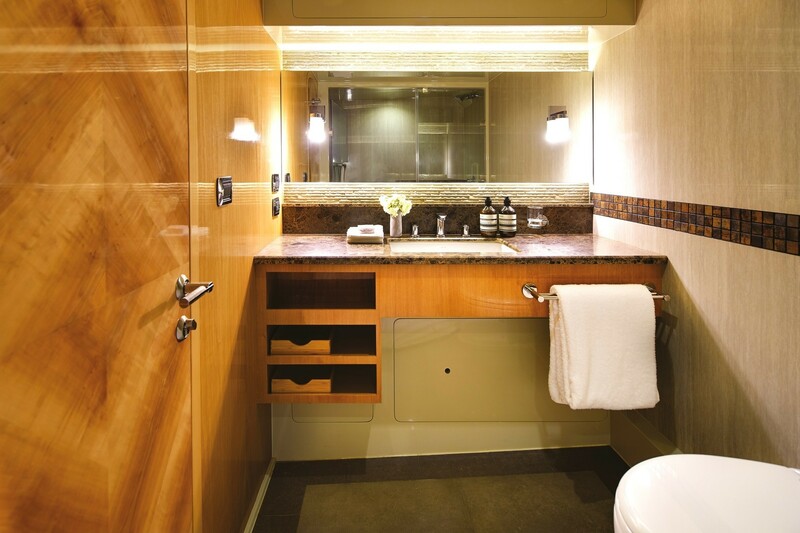 All staterooms are spacious with luxurious amenities and en-suite bathroom facilities. 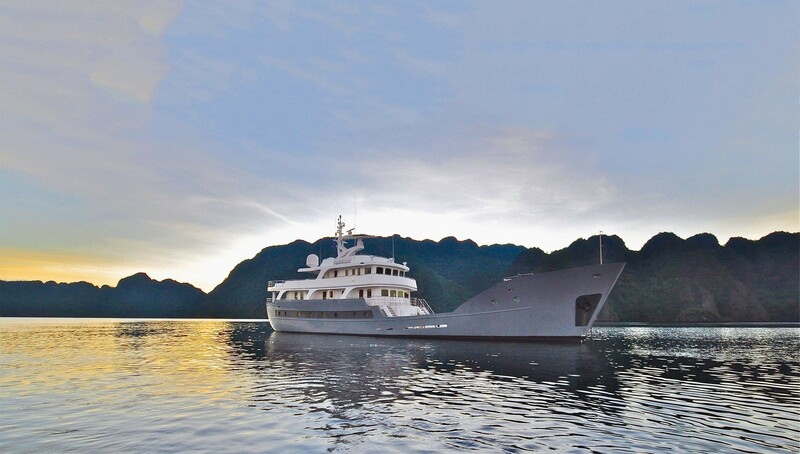 Originally built as a Norwegian icebreaker, explorer motor yacht ANDA boasts well-appointed and generous outdoor living. 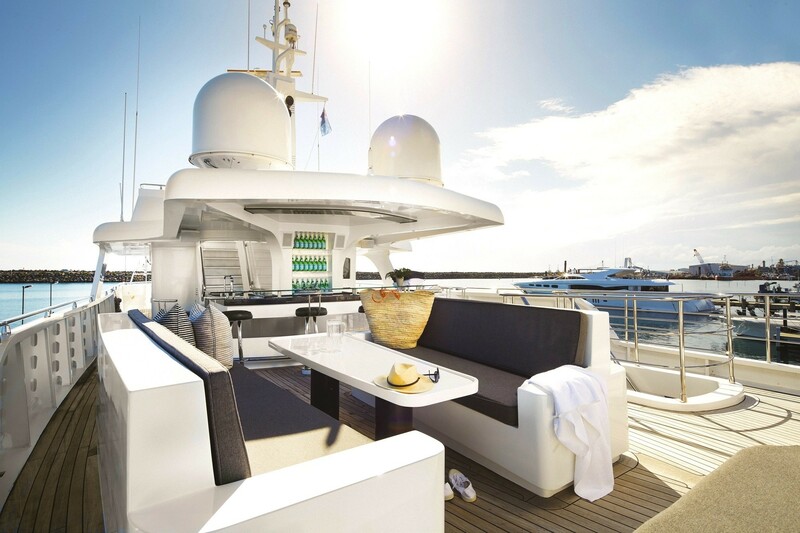 Adjacent to the salon is a sheltered and shaded aft deck. 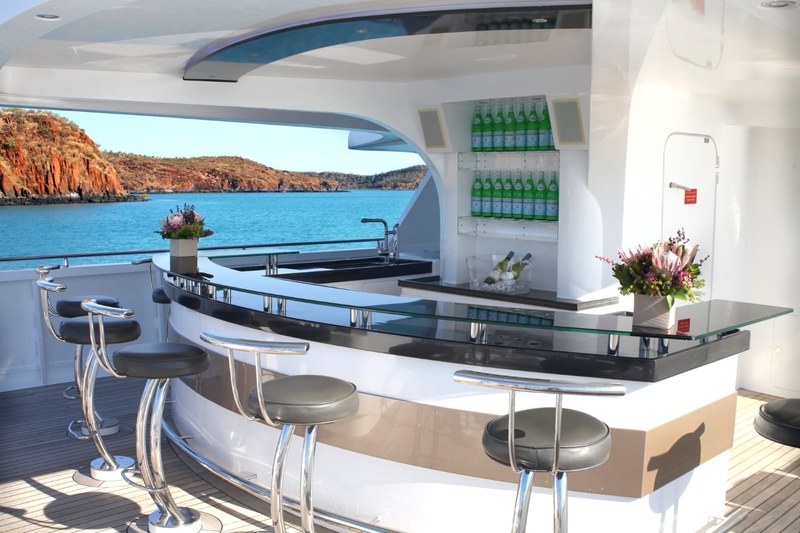 The upper deck undoubtedly is the perfect area to enjoy exterior living at its finest, offering a complete wet bar with seating, an alfresco dining option, ample sunning space and unrivaled views. 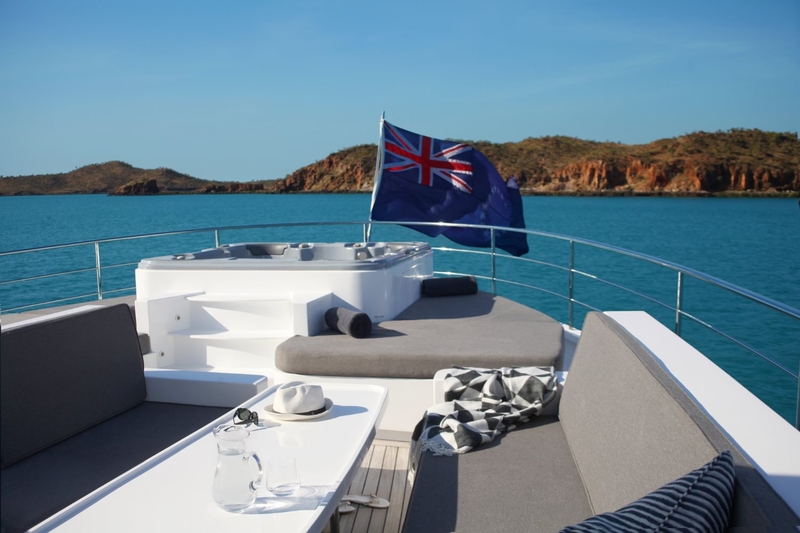 ANDA yacht is powered by a Winchmann 50ACA Diesel engine of 500hp (373 kW) reaching a maximum speed of 12 knots and a cruising speed of 10 knots. 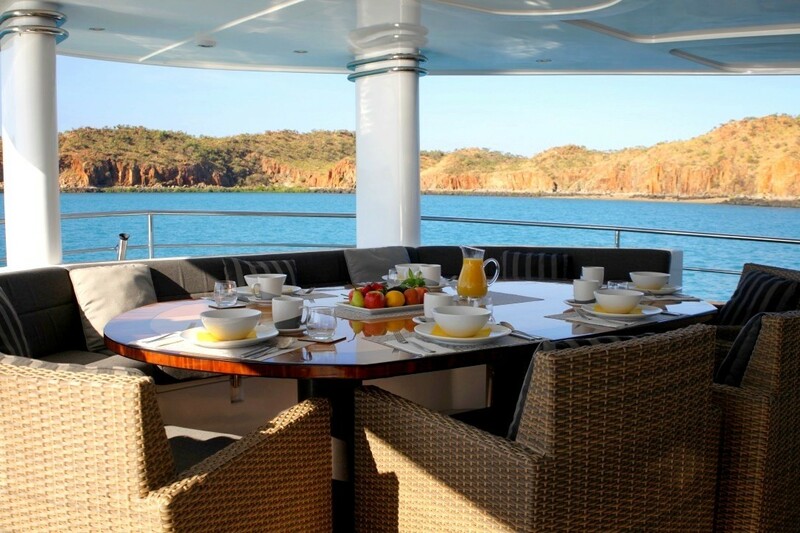 Her expedition-style charters and itinerary include such pristine environments as the Kimberley, Dampier Archipelago or Ningaloo Reef. 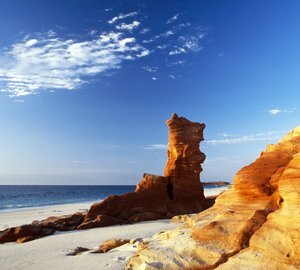 At ten times the size of Switzerland, the Kimberley region is brimming with Australia’s best outback landscapes and wildlife. 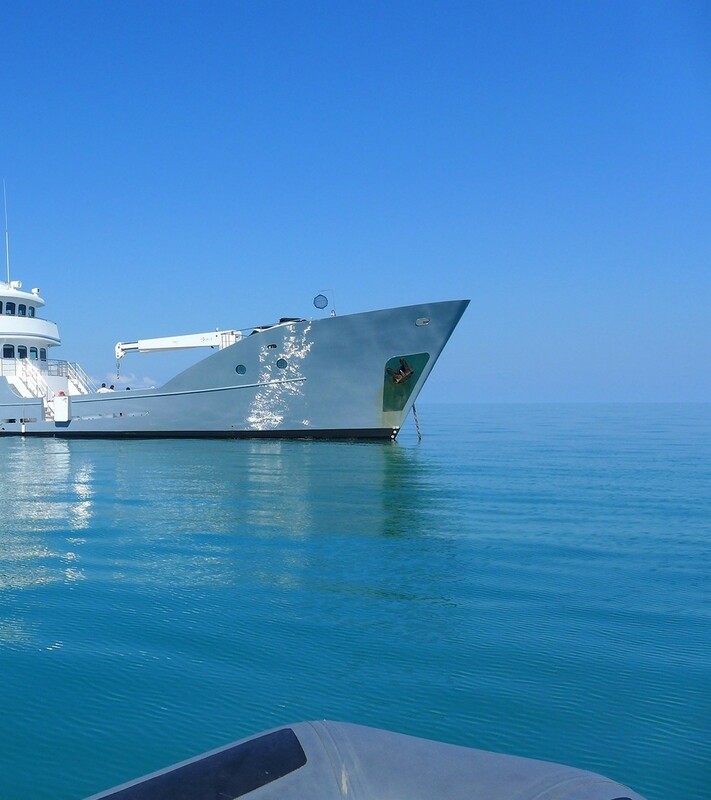 Activities during the voyage include visiting an abandoned pearl farm, exploring ancient indigenous rock art sites, or snorkeling one of the world’s largest untouched coral gardens, at the Rowley Shoals. 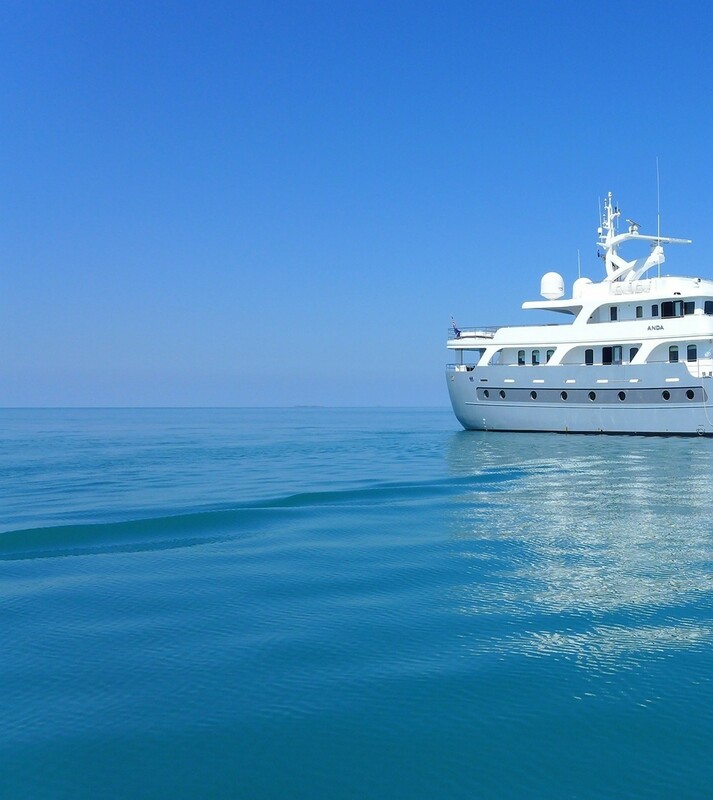 She is the only yacht of her kind offering deluxe charters in this region. 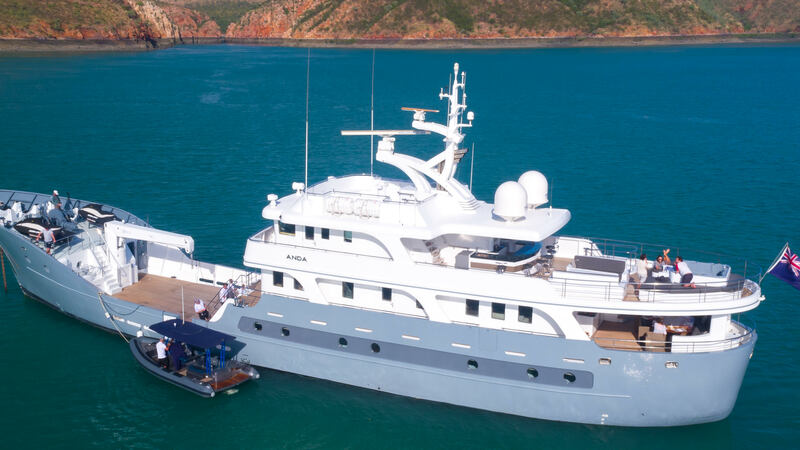 Her exceptional long-range capabilities and ultimate superyacht status make her an exclusive luxury yacht choice. 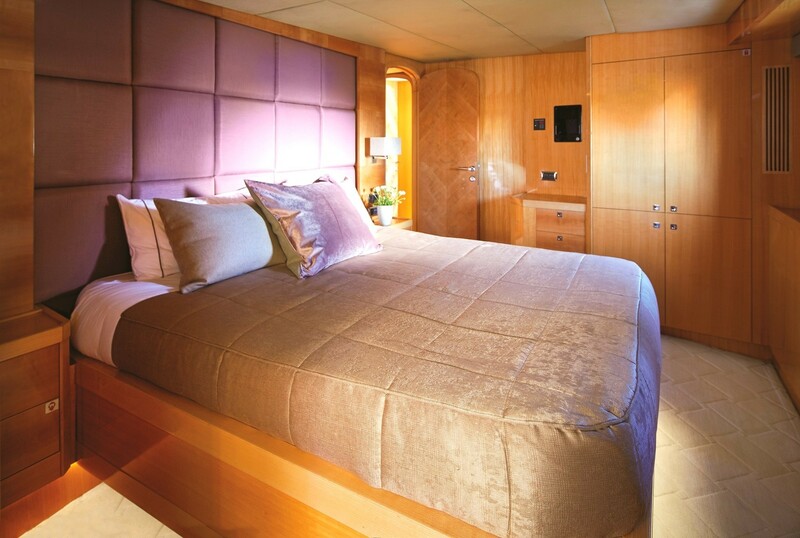 Spacious and luxurious accommodation on the luxury motor yacht ANDA is provided in 5 beautiful staterooms, each with en suite bathroom facilities, for up to charter guests. 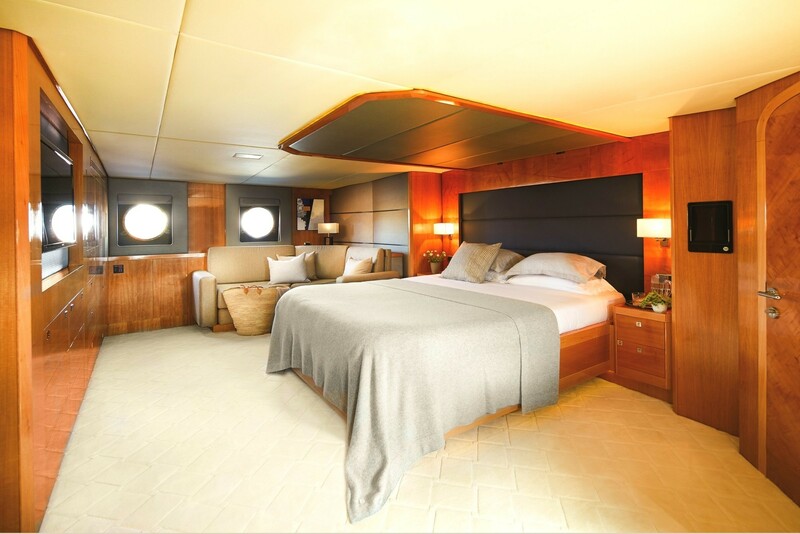 The master stateroom enjoys a full beam layout, king size bed and seating area. 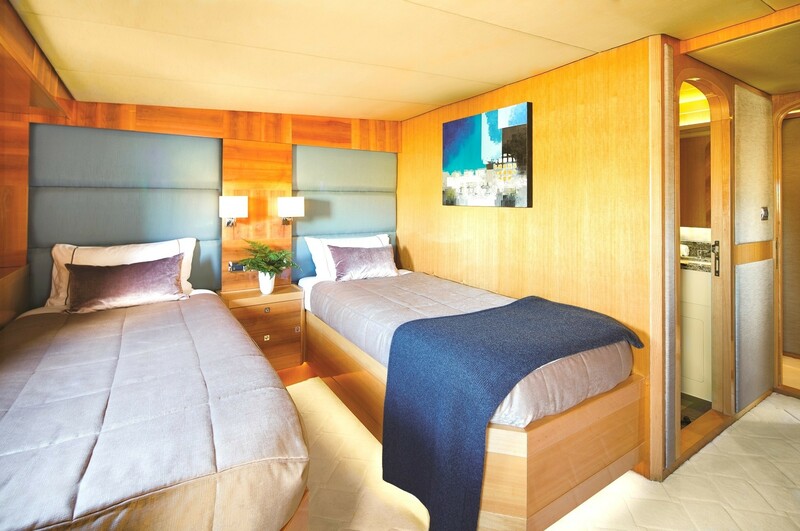 Three guest cabins each have double beds. One guest cabin has side by side twin beds. 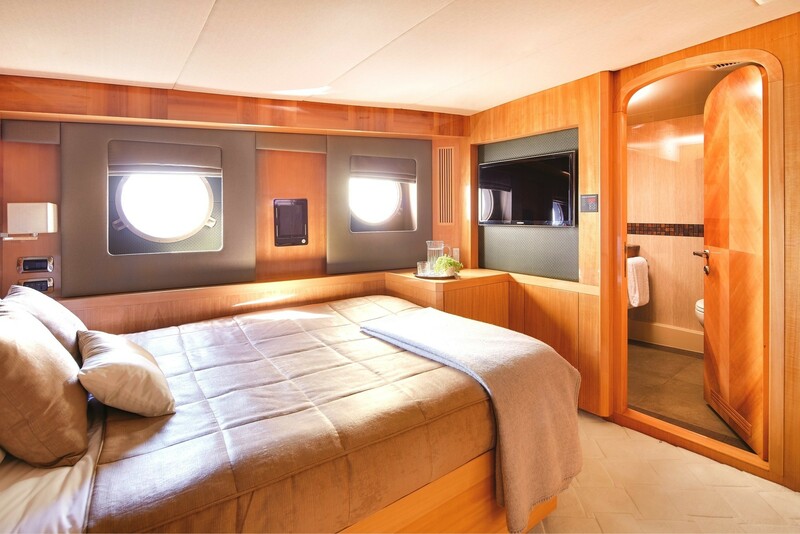 All 5 cabins are finished to a high standard and offer a serene atmosphere, to unwind and relax. 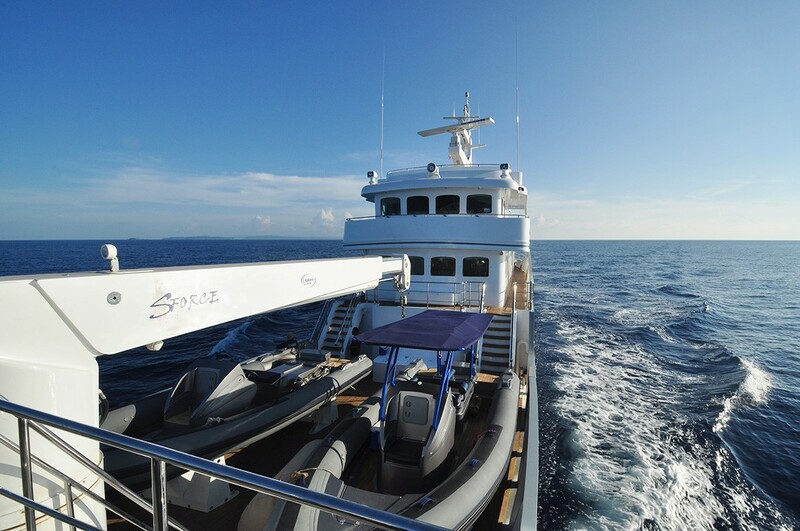 Motor yacht ANDA offers the following Tenders & Toys: 2 x semi-inflatable high speed 7m diesel jet tenders, 2 x Seadoo jetskis. 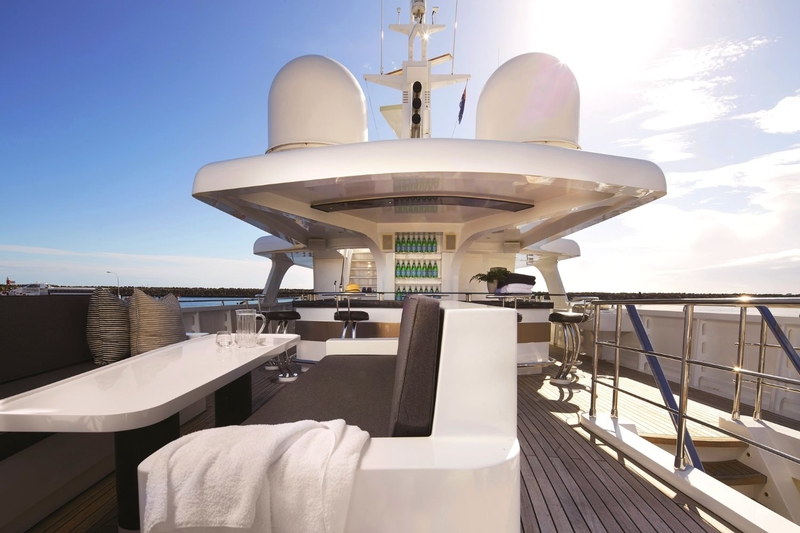 Audio Visual Equipment and Deck Facilities: IPads in each suite to individually access the extensive internal movie and music system, TV screens in each cabin and guest areas, Outdoor Sonos speakers with guest remote access, Mozaex Entertainment System, Sundeck Jacuzzi. 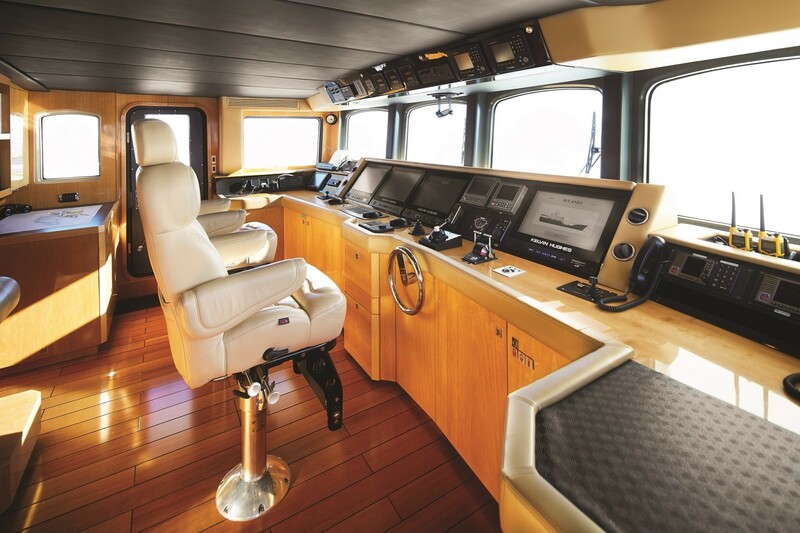 Communications: Wi-Fi where geographically available, Satellite phone and data connection worldwide, Inmarsat broadband, Satcom/VSAT Inmarsat C. ANDA can be packaged with her 16m (50ft) fishing vessel, The Fortescue, for tailored game fishing expeditions.